Port City Bowling Club and YPS are partnering to bring this exciting challenge to our community. 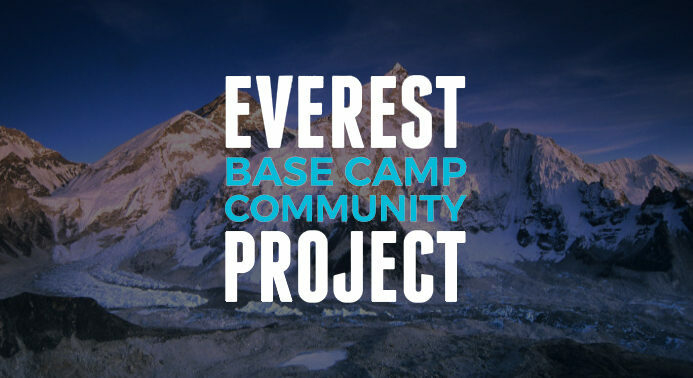 Supported by HUMA Charity Challenge- we’re taking on Mount Everest Base Camp in April 2019 with brave & committed community members already signing up to join us on the challenge of a lifetime. YPS & our partner’s mission is to raise a minimum of $200,000 through fundraising events throughout the year. Every step helps us build the future our young people deserve. The YPS Everest Base Camp Community Project is an exciting challenge for our brave participants- not only through the journey they will undertake trekking to Everest Base Camp but through the fundraising challenge they also take on to help us fight youth homelessness. All money raised will be donated to YPS to help us develop targeted responses to children and young people experiencing homelessness in our region. It takes a community to make a difference & together we can end youth homelessness! YPS is offering a range of different sponsorship opportunities for local Companies and Business. The levels of Sponsorship offer your business the opportunity to receive some great benefits, advertising & acknowledgements of your support- but best of all is the knowledge that you & your business are helping support vulnerable children & young people in your area! To find out more about the Sponsorship opportunities available contact Michelle at YPS (Phone 6563 1230, 6584 0066 or 0458 031 230) or download our download our YPS Everest Sponsorship Packages below. If sponsorship isn’t for you but you would still like to help out & make a difference in a young persons life then give Michelle a call & have a chat about the different ways you can get involved or donate. Click the button below to donate directly to the YPS Team. All donations over $2.00 are tax deductible and a receipt will be issued for tax purposes.